Industry insiders have revealed that an increase in 16nm and 12nm chip orders from different clients will ensure that TSMC is able to generate a healthy revenue for the month of March. In addition, there is more good news for silicon buffs as the manufacturer is going to commence the production of its 7nm FinFET node for its high profile clientele, and that will include the likes of Apple. The revenue growth will continue through the second quarter of the year as Apple and other fabless semiconductor customers will get 7nm FinFET chips delivered to them. 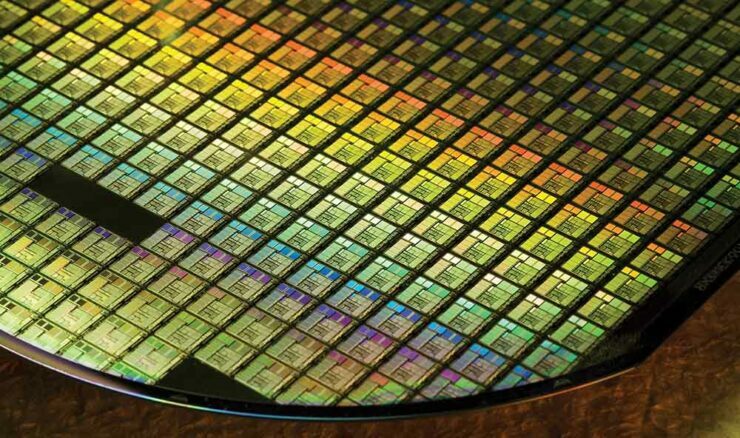 TSMC has some high profile fabless clients for its 7nm chips such as HiSilicon, Xilinx, and Qualcomm. Overall, the company expects to see an increase of 10 percent in its revenue. Thus growth will largely be fueled by an increase in cryptocurrency mining chips and advanced smartphone chipset orders. The company will begin mass producing its 7nm FinFET technology starting in June and according to DigiTimes, the company will enjoy a 100 percent market share for the 7nm chip process. As for MediaTek, the fabless semiconductor is going to be aiming to strengthen the lower bracket of smartphone chipsets with 12nm orders from TSMC. It will soon begin delivering its Helio P60 smartphone SoC which has AI capabilities too, with the manufacturer stating that it will be performing just as well as high-end phones while costing less in the end. It seems like it’s going to be a good quarter for TSMC, thanks to increasing orders from top-notch clients like Apple, Qualcomm, NVIDIA, and MediaTek. Most importantly, this will be the year when we will be looking at the world’s first 7nm FinFET chip and from Qualcomm’s side, it appears to be the Snapdragon 855.